There is a liquid form and a compact one. The name of Bobbi Brown Moisturizing Cream Compact Foundation has more moisture. You can feel it when you try on. The oil free product finishes in more matte texture. However same for the moisturizer, it doesn’t stay long and the moisturizing feeling disappears right after application. So there aren’t any differences. After several hours, you can’t tell what product you put on your face. However you can notice only one thing! The coverage! It is truly better than moisturizer so I recommend using oil free. I won’t recommend to people who want moisturizing finish. -People who wants natural looking coverage and want to brighten up the skin tone. : People in who falls into these bullet points, would use it easily and quickly. It lacks on covering all the blotches perfectly but easily organizes the skin. Talking about oil free product, it applies smoothly and with creamy texture even though it said to be oil free. Amount can be easily controlled so doesn’t apply too thickly however not even to thin. The persistency is fare enough and there are varieties of shade to choose from. 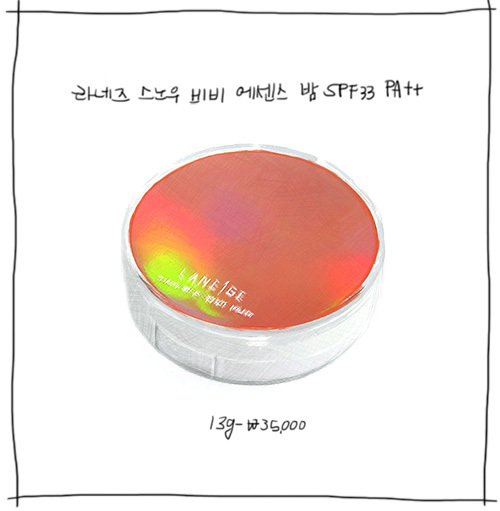 Many Korean male celebrities use this item. There are many flawless skin among male celebrities but not all. So normally for uneven skin surface and some pimples on the chin line is very helpful to use this product! Incase of having to do makeup quickly and can’t cover the pimples one by one, use the soft wet sponge and settle onto the face after applying basic cosmetics. When you want to see the effect quickly, usually for men they use no.4, 4.5, or 5. Using one tone darker than actual skin avoids the brightening but makes it looking healthy. Also it covers the reddish blotches and pimples marks with the darker tone of foundation. If there are severe pimples, cover them with concealer. While choosing the foundation, don't go too dark. About half or even to one tone of difference well look better. However this don’t fall into every person, people who wants to bring light they can choose to do it, if there aren’t many blotches. When you are applying this product, using sponge or brush works better than hands. Applying on the fare skin surface and spreading out towards other area lightly works great. Focus more on the area of marks and blotches. Think as if you are patting and layering on the product than spreading out. During the retouching, add some mist to give moisture. and remove the cluster area and apply the product again. No.2 natural BB is better on coverage. The color is little bit dark so covers small blotches and pimples. 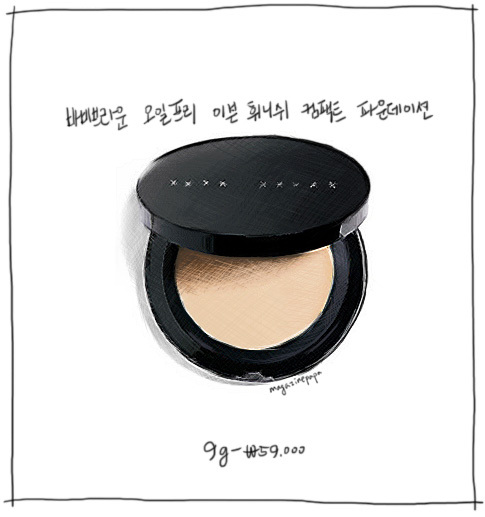 In Korean cosmetics there are normally two colors or three colors to choose from. So if your skin tone is really different from others try to mix two colors. However it might be better than to keep buying a foundation that goes perfectly well for the skin. This product is said to be BB Balm but I don’t know why I am talking about colors from foundation. There isn’t any effect as a BB cream. So this isn’t BB cream. People who know about BB cream will know the difference. This is just like a foundation that applies thinly. The color is just like regular foundation giving off yellowish and orange shades. So this looks more natural and no problem of applying several layers on top. You can feel the moisture from the new product instead from testing products. It applies well and finishes with moisturizing effect. Also Laneige has stated that it creates a shield to keep the moisturizer in. At first it’s moisturizing but it’s not easy to contain this feeling. It’s just satisfying not to be too dry. This is better in moisturizing than a product that saying to contain essence giving healthy shimmer in cream foundation. You can’t feel the powdery finish with this product. When you test it on your hand, you might not be satisfied with the coverage. However it’s difference when you apply on to your face. Apply then in patting motion as you are trying to do some cover-ups so it applies thinly but with some coverage. It is impossible to cover up all the distinct blotches however covers some of them so makes your skin to look clean. Students without pimples will be enough with this coverage. People who have some blotches should layer this product thinly overall and focus more on the parts where you have to cover them. The case is really bulk so for people who carry around small bags might take up all the space. However for me I don’t find any problem. The sponge is on top and on the bottom there is the foundation. When you close the cover well it closes very tide for the moisture stays in better than Chanel compact. I used it until I see the bottom and until now I don't feel any change. So it’s saying that it’s working for me! It’s not so hard to open the case however for people who have weak nails, might ruin their manicures by opening with their nails. So try to use the part on top of the finger. When I look at this feature, Korea case is better. It lacks on the design wise but works out great functionally. I am very satisfied with the rate of sun protection. People who have bought this for summer would be very comfortable. I layered this twice with having some coverage and at the same time sun protection. Also seen some comfortableness by only having to use this for retouch. Compact are used for its easiness instead of having creamy coverage. First of all layer it thinly. After giving enough moisture using it little bit of amount apply it with adhesion. Place some spot of foundation on the area of cheeks in each sides and with the rest over on the sponge apply it on the chin, forehead, and areas of the nose. Don’t forget the area around the side of the nose and between the mouth and nose. If you want some more coverage, take little bit of amount and place them in patting motion. Don’t apply so thick overall! There aren’t any skins that have to cover their face all-thick. The area where there aren’t any spots, cover lightly so the area where you cover them won’t look too thick. It’s important to be satisfied with the coverage and prettiness with thin application. When you are doing retouch with compact powder, ‘mist’ is important! Spraying the mist on your face and wait until absorption than apply the compact. When there are some cluster parts with oil and sweat, apply some mist of moisture lotion by wiping off with a sponge. So you can get the flawless skin like on the morning you had.